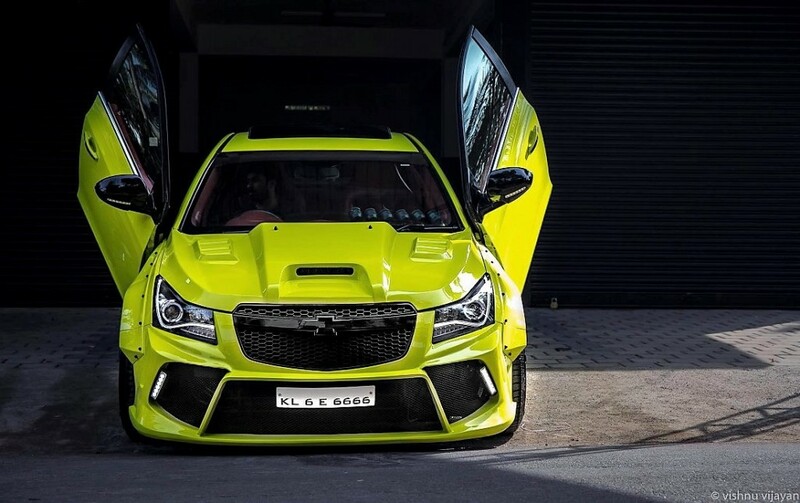 The post Meet Chevrolet Cruze Hyperwide Edition by 360 Motoring (Kerala) appeared first on Maxabout News. 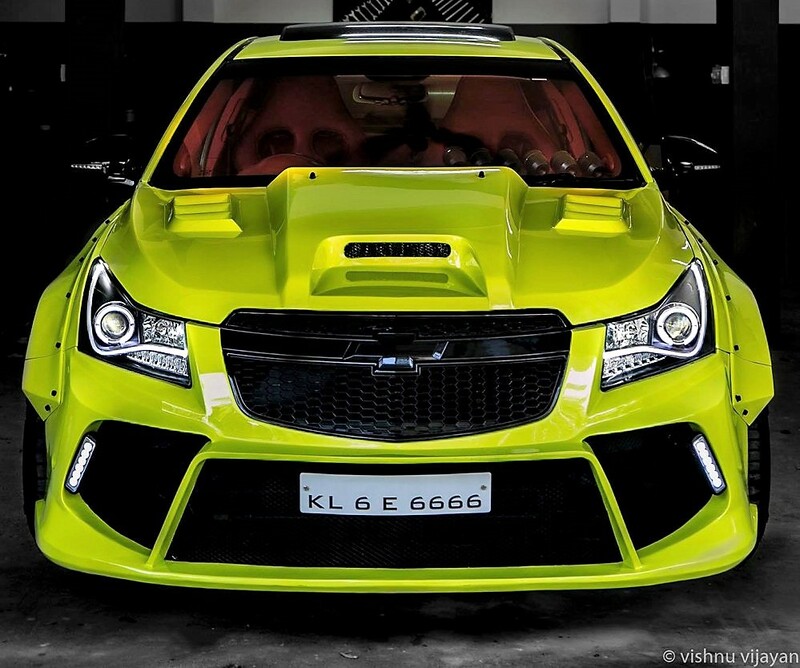 360 Motoring from Kerala recently presented the heavily customized ‘Chevrolet Cruze Hyperwide’. It can be safely tagged as the most effective Cruze around India as the changes on the car went deep inside and brought a monstrous machine out of the stock version. The front end of the car now gets an all-new bonnet with raised centre and an air inlet in the middle. The grill turns all black while bumper gets reworked LED daytime running lights at both ends. 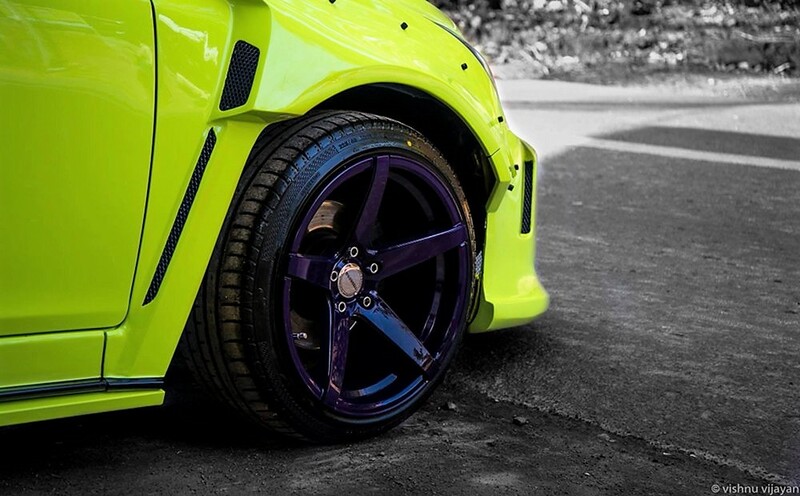 Both the sides witness an extended wheel arch that brings the name Hyperwide to the car. The fenders now accommodate extra wide 18 inch tires, further looking exclusive with extended side skirts and black outside rearview mirrors. 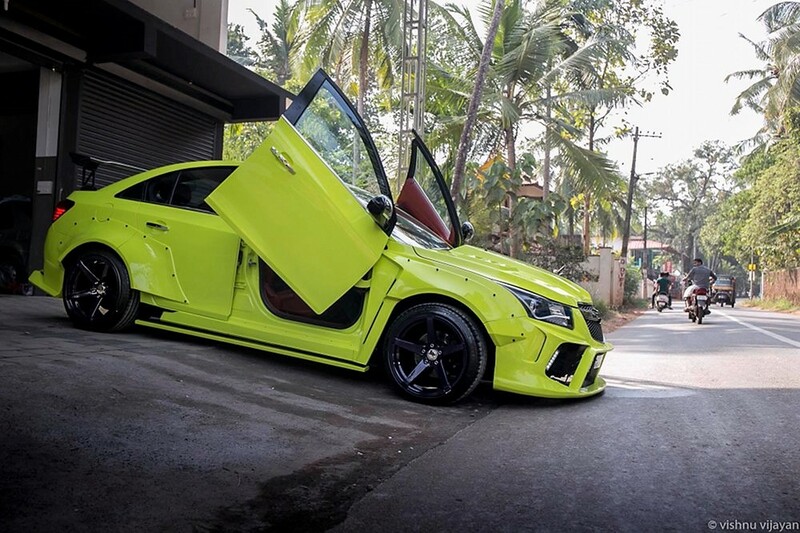 If you still feel something missing from the car, Lamborghini style scissor doors can help you take the style statement to one higher level. The rear bumper also receives the same statement while the interior of the car comes with red leather for the premium sporty feel. Cruze has been discontinued from India as Chevrolet’s exit plan was operational from January 1, 2018. They currently manufacture cars for export markets only. 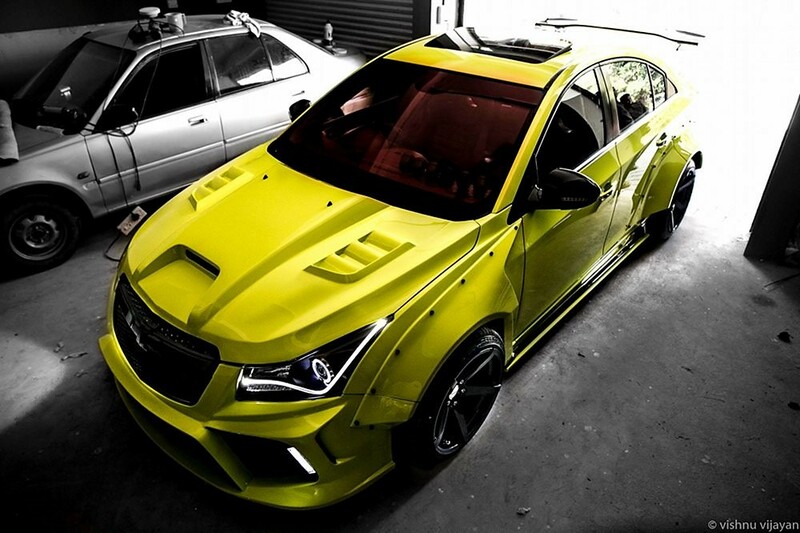 Chevrolet Cruze is powered by a 2.0 litre, four-cylinder diesel engine producing 164 BHP at 3800 rpm and 360 Nm at 2000 rpm. The engine comes mated to a 6-speed manual as well as an automatic gearbox. It was the most powerful sedan in its segment, rivalling none other than Hyundai Elantra and Toyota Corolla Altis. The other two options are not available with such a powerful engine. These days, the demand for D-segment sedans is lower than ever in India as more and more buyers are preferring SUVs when moving over the C-segment sedans.